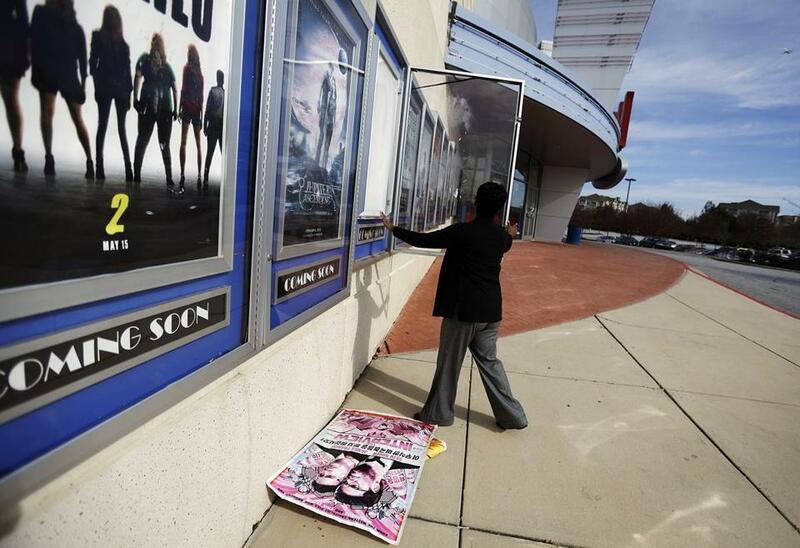 A worker removed a poster for the movie "The Interview" at a Carmike Cinemas theater in Atlanta. Are Sony and America’s multiplex chains doing the right thing by canceling the release of “The Interview” after threats of 9/11-style violence? Or has a truly unfortunate precedent just been set? On Wednesday, Sony Pictures dropped plans for a Christmas Day release of the film, following a threat by hackers and the decision of the country’s biggest movie theater chains to call off screenings. A spokesman later said that “Sony Pictures has no further release plans for the film.” In the comedy, James Franco and Seth Rogen star as two U.S. journalists sent to assassinate North Korean president Kim Jong-un. 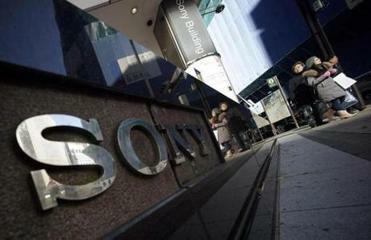 On Wednesday evening, news reports emerged that federal investigators have connected the North Korean government to the recent hacking of Sony Pictures’ computers. We may now never know, but it’s likely that “The Interview” is not a class-A addition to the ranks of world cinema. The film may be as stupidly amusing as Franco and Rogen’s previous collaborations, “Pineapple Express” (2008) and “This Is the End” (2013). It may very well be worse. (An early review in Variety calls it “as funny as a communist food shortage.”) No matter. US officials say North Korea was “centrally involved” in the attack on Sony Pictures, but they’re unsure how to respond. By caving in to the threats of a hacker group called Guardians of Peace, reportedly working at the behest of North Korea’s government, Sony and the major exhibition chains have opened the door for any zealot or teenage hacker with mad skills to make all the threats and mayhem they want. This will not be the last such event. When a bomb threat is phoned into a school, don’t they cancel classes? True enough, and the nation’s major exhibition chains — Regal, AMC, Carmike, Cinemark, and Cineplex — may have felt as though they had no other choice, given that the film’s distributor, Sony, initially left the matter up to them. But there’s a freedom of expression aspect to this situation, in that the hacker group has now successfully shut down moviegoers’ ability to choose whether or not to see the film for themselves. Rogen, Franco, and Sony have the right to make as lame and inadvisable a movie as they want; it should still be allowed to be seen. The standard litmus test of unacceptable speech is the cliché of shouting “Fire!” in a crowded movie theater. “The Interview” isn’t doing that. The hackers are — almost literally. Hollywood was already rattled before the threats. Since Nov. 24, seven data dumps of Sony documents have been released to the public, detailing personal employee information (Social Security numbers, salaries) as well as the often fractious inner workings of studio executives’ communications and decision making. Several of Sony’s in-the-pipeline films, including the new “Annie,” were also made public, and copies quickly multiplied on file-sharing sites. An eighth “Christmas present” has been promised along with the aforementioned threats to theaters. The press has had a field day with these documents, and the discussions of whether to publish them has been loud, impassioned, and actually quite useful. These are the growing pains of the media moonscape in which we now live. On the other hand, much of the reporting on catty e-mails from and to Sony Pictures head Amy Pascal has been schadenfreude masquerading as journalism. Executives in the film industry trash-talk one another and the talent and make stupid racial jokes — this is news? Somewhere in the Hollywood afterlife, Louis B. Mayer, Harry Cohn, and all four of the Warner brothers are rolling their eyes at our collective naivete. Some of the public discussion has broken down on expected partisan lines. Those on the left have said, well, we might feel equally chuffed if the North Koreans had made a movie about assassinating Barack Obama. Those on the right respond, Where were you when “Death of a President” came out in 2006? That independent British film, which envisioned the assassination of then-President George W. Bush, caused a furor, primarily among those who didn’t see it. The title event happens mostly offscreen early on and is used as a pretext to imagine an ensuing government crackdown. It’s not a very good film, but it’s earnestly intended and less exploitive than its unfortunate title. And, unlike “The Interview,” it doesn’t feature a comic scene of Kim Jong-un’s head exploding in flaming chunks of hair and skin. All right, maybe the world won’t miss this movie, but that’s not the point. (More likely, anyone who really wants to see it eventually will, since you can bet that pirated copies will turn up in the usual dark alleys of the Web.) With the announcement that “The Interview” would not be released in any form at any date — not even in secondary markets like streaming video or on DVD — Sony and the entertainment industry have capitulated completely to an invisible enemy with no proven ability to strike violently in America. But who wants to call that bluff? Not entertainment corporations with customers to protect — and images, profits, and international distribution agreements. (Not to mention a parent company in Japan, a country that has a long history of tensions with North Korea.) In the grand Hollywood tradition, a studio has censored itself before someone else could do it for them. In the process, it has opened the door to anyone who wants to watch a big corporation wriggle on a hook and — unlike most of us — has the skill set to make it happen. And it has lost the first battle in what may yet become a whole new kind of war.